Ivory Bar Soap 3pk $0.68 w/ Coupon! 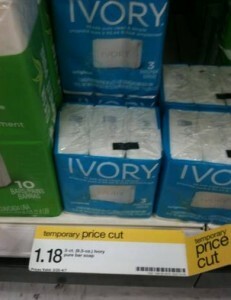 If your Target has Ivory on Price Cut, you can get an awesome deal! = $0.68, or $0.22 per bar!